It was our first night teaching in the village of Layaban. 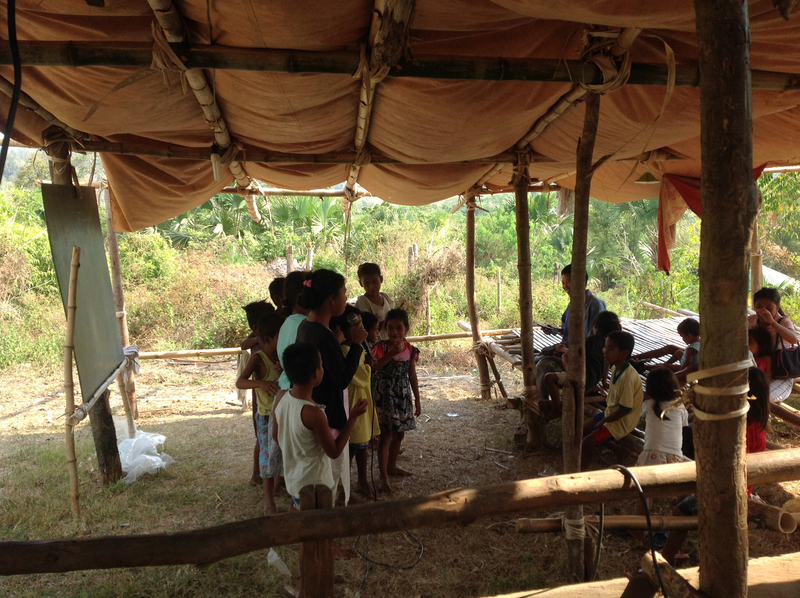 For over a month, I had been guiding my Tawbuid members as they held Bible studies there. The villagers of Layaban have combined their ancient shamanism with modern occult practices, and the woman who was mocking the Bible was the wife of the sect leader, who is currently in prison. Nonetheless, a number of people had been eager to study the Bible. When they asked me to come personally and explain more fully the things they had been hearing, we decided to hold a series of meetings. The meeting finished without further incident, and the people filtered back to their houses. Less than an hour later, Nilia heard shouts from a nearby house. Going to investigate, she found a crowd gathered around the lady who had so recently been mocking God’s power. She was doubled over, vomiting up blood. As I write this, one week later, the woman is still in the hospital. God never gives us so much evidence that we have no room for doubt. Neither, though, does He leave us without witness to His power. I praise God for showing Himself powerful in Layaban. As a result, a small group is very interested in His truth. Please pray with me for their salvation and that God will overthrow the Devil in the very seat of His power.